The gorgeous country of New Zealand is well worth exploring for a number of reasons including their great wine festivals. If you are a lover of this delicious sweet drink, you are not going to be disappointed. You can find a list of a few of the amazing wine festivals in New Zealand below. 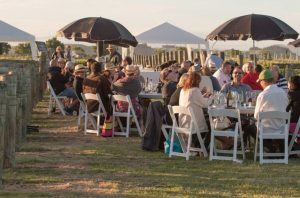 If you love food almost as much as you love wine, Hawkes Bay food and wine classic is definitely one that is to be explored. This is a yearly event that is held in both November and June, lasting 10 days at a time. You are most likely going to feel the need to indulge yourself at this event. Martinborough is a beautiful location and the Toast Martinborough is a wine festival that has been going strong since 1992. Toast attracts locals and tourists alike, allowing them to try the best wines in the region. This is so much more than a festival, it’s an experience that will help you make long lasting memories with friends. Take things to the next level by combining the best wines in New Zealand with live music and delicious food. You can sample an array of different wines including the sauvignon blanc, which is a crisp taste that Marlborough is well known and loved for. How could we not mention this great festival, which keeps fans returning year after year? Waiheke is an amazing wine experience that is usually held in April. It will leave you discovering new tastes from all around New Zealand, with samples from some award winning vineyards. In addition to the wine on offer, there will be food to suit all different tastes.